Tonight's episode of Major Crimes, called 'Clear History,' is a little on the dark side, according to Adam Belanoff who wrote the story. Adam serves as executive producer for Major Crimes, is here today answering questions. Adam has written for TV shows like Star Trek, Murphy Brown, Cosby and Wings. 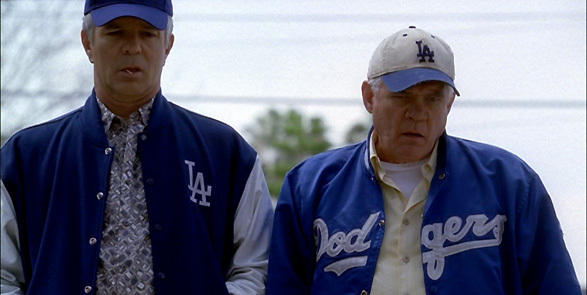 He was also a writer and co-producer on The Closer. He also wrote my favorite episode of The Closer, but you'll just have to read on to see which one that is. 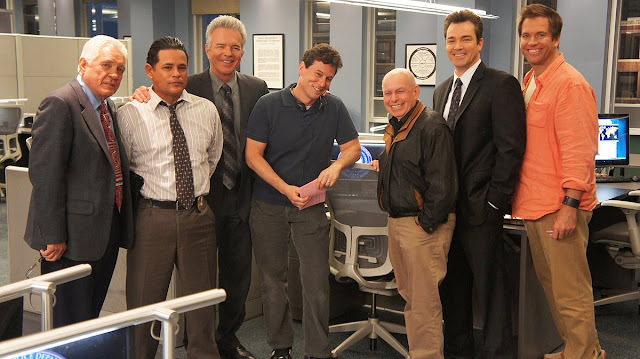 Q: You’ve written and produced so many wonderful comedies, Murphy Brown, Cosby, Wings and many of the comedic episodes of The Closer and Major Crimes, including my all time favorite episode when Flynn and Provenza find a body in Provenza’s garage but don’t call it in right away because they have Dodger sky box seats. How does your approach to comedic writing differ than your approach to drama? Which do you prefer? First, Deborah - thank you so much for that incredibly generous compliment. I've been very fortunate over the course of my career to work with exceptionally talented people and I don't think there's a successful episode with my name on it that wasn't greatly improved through the contributions of my colleagues. The show you reference - "To Protect And Serve" - is particularly special to me because it was not only the first episode I wrote for "The Closer" but our initial attempt to create a largely comedic episode within the usual framework of our show. I often think that one of the reasons that people responded as positively as they did was because it was so 'out of the box' - though of course, the fact that G.W. 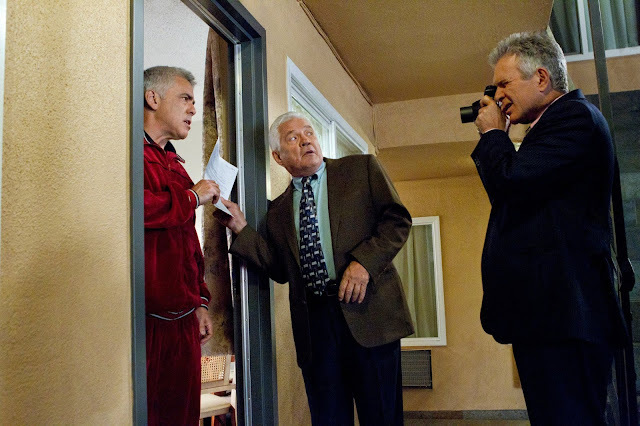 Bailey, Tony Denison and the entire cast fully committed to this different style of story - and gave superb performances deftly straddling the line between comedy and drama - was key. In terms of preference, it's a toss-up. I genuinely enjoy the extended process that begins with conceiving a comedic bit or piece of dialogue, later hearing it received well at our table read, watching it being realized on the set and finally seeing it landing well in the final cut. (As enjoyable as it is when things go as hoped, it's equally dispiriting when material in which one had great confidence just doesn't play - but that's the risk one takes when one steps out on a comedic limb.) On the dramatic side, it's hugely satisfying to watch a scene play out with more emotional impact than one might have ever imagined. While I can't say which positive scenario I prefer, I'm always grateful to be working on a show that allows us to cover that wide gamut. Q: I loved Murphy Brown when it was on. What was it like working with Candice Bergen? During the two years that I worked on "Murphy Brown," I found Candice to be generous and thoughtful; she also possesses a very sharp sense of humor along with a fondness for playing practical jokes. As went the work process, she was highly dedicated and while taking the job seriously, took herself much less so. What was your favorite part of co-producing and writing for that show? What was the most challenging? "Murphy Brown" was unique in how topical it was; as a writing staff we were often challenged to respond very quickly to current events. As a result, by necessity my colleagues and I had to keep closely keep track of developments in politics and the larger culture - though I'd say we all relished the opportunity to weigh in on serious subjects with a comedic take on a regular basis. On the up side, we were doing a series very much of its time, highly relevant to that moment. On the down side - and as goes, I'm afraid, series syndication - we were doing a show very much of its time that was highly relevant only to that moment. Q: You have served as a co-producer and an executive co-producer for many TV shows. What does the co-producer do on a show? Which do you prefer, producing or writing? The term 'producer' with various delineations ('consulting producer,' 'co-executive producer' etc.) is used freely throughout the entertainment industry and unless one is closely involved with a particular project, it's very difficult to know exactly what an individual's responsibilities as a producer entail. As a television writer, one is given a producing credit after some number of years on staff largely as a sign of ascending seniority but one's job might essentially remain the same - which is to say, writing scripts and assisting others as they write theirs. Although I began "The Closer" with the title of supervising producer and am currently an executive producer of 'Major Crimes,' the lion's share of my time is still spent either in the writers room or by myself working on a specific assignment. When its "my" episode - and I add quotes as every episode with my name on it as the sole writer still contains a significant contribution from the rest of the staff - I will be spending time in pre-production in conference with our production designer, our costume designer, our casting people and so on. While the episode is being shot, I will be on set to consult with the director and cast as needed. In addition, I may have limited input later in the post-production process as the final edit and mix are coming together. Still, I'd stress that most of my time is spent as a writer - and that is my preference. Q: Which episodes of Major Crimes did you write this season? Which one is your favorite? 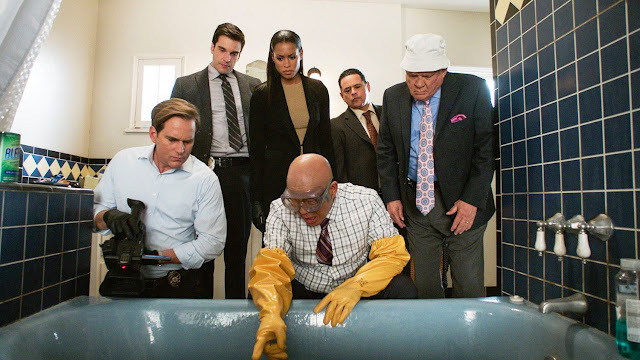 I wrote two episodes in the currently airing fifth season - "Skin Deep," a lighter episode featuring Provenza, Flynn and Buzz that aired last July - and "Cleared History," a much darker story which will be airing (or will have aired) on March 1st. Hard to say which is my favorite - especially as they're so different - but I was very pleased to learn that some fans compared "Skin Deep" favorably to our stronger light episodes of the past decade. Q: You’re credited with writing one episode of Star Trek the Next Generation with Michael Piller. How did that come about? Where did you get the idea for the story? In 1990, I graduated from USC Film School and was offered the Paramount Writing Fellowship which provided me with a small annual stipend and an office on the Paramount lot in exchange for the studio having first look at any material I created during that year. In addition, I was told I'd have the opportunity to sit in with any writing staff on the lot that might have me. Michael Piller and Jeri Taylor - who were then leading the 'Next Generation' room - graciously offered me a place at their table. Although I'd been hoping to land with one of several situation comedies that were being shot on the lot that year, the group - which included Ron Moore and Noren Shankar who both went on to huge successes beyond the 'Star Trek' franchise - were exceedingly welcoming and watching their process shaped a good deal of my understanding of how television is made. As it happened, a writer named James Kahn had sold the show a story a few months before my arrival and I witnessed some of the difficulty the staff was having bringing Kahn's particular notion to fruition. Michael Piller, who was prepared to let it go, agreed to listen to a pitch I had that would retain a few essential elements while taking the story in a very different direction. Included in that pitch was a new title - "The Masterpiece Society," a reference to a community living within a biosphere whose existence is threatened by outside forces - and Michael signed on. Ultimately, the episode was produced several months after my fellowship had ended - and not long before a spec 'Seinfeld' episode I'd written led to my first staff job as a writer on 'Wings.' Regardless, it was still an extremely positive experience and when I encounter the episode in re-run - as I have over the years flipping through channels - it brings back many positive memories. Q: Besides Major Crimes, what do you think is the best show on television today? It's hard to know where to begin as I believe there have never been so many quality programs produced and airing on so many different platforms at the same time. Without judging what I consider best, just a handful of the shows which I've thoroughly enjoyed over the past year include "Game Of Thrones," "Better Call Saul," "Black Mirror," "Fargo," and most recently, "The Crown" (which was superlative on many levels - acting, writing and production-wise). Major Crimes airs tonight at 9pm/8pm on TNT. Head on over to the Major Crimes Facebook page for details on tonight's live chat with Co-Creator, James Duff. You can check out our interview with Kathe Mazur who plays DDA Hobbs here. Big thanks to Adam for taking the time to answer my questions. Fantastic interview. Adam, thanks so much for sharing your vision of your work with us. Who doesn't love the garage scene. So dark yet so funny. This interview was fascinating, I love to read about the behind the scenes part of a show. What a wonderful interview! I agree with Kerry, learning about the behind scences part of shows is interesting. Great interview, thank you. I love reading about this stuff!